Note: The fluid level must only be checked in conjunction with the fluid temperature, see TECH 2, after work or fluid loss, and corrected if necessary. Ensure that only the correct transmission fluid for AF40 is used. This gearbox is otherwise known by its manufacturer’s name, Aisin TF-80SC and the fluid specified has to be AW-1. The Vauxhall fluid is part no 93 165 147 in 1 litre bottles and you will need 4 litres for a simple fluid change and about 8 litres for a full fluid change. The full capacity of the gearbox is 7.2 litres, however you may only be able to remove approximately 3 litres because the torque converter contains the rest and doesn’t drain. Thus to carry out a full change of the fluid (and not just half of it!) it is necessary to flush the transmission oil (preferable) or carry out at least 4 drain and fill cycles to get 80% of the fluid out. Vauxhall TIS suggests it is possible to drain half the contents of the torque converter by allowing the transmission to drain overnight. I have tried this and it didn’t happen. 2. Unscrew fluid filling bolt (1) which is a T50 Torx plug on the top face of the gearbox towards the rear. Important: If the transmission fluid level is only to be checked, skip to Work Step 8. 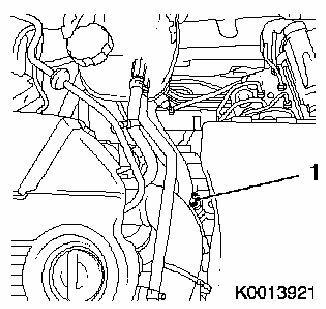 Important: The rising tube (3) must not be unscrewed to check the fluid level. With the fluid checking bolt unscrewed, the fluid will run out of the rising tube to the fluid level (6) at the upper edge of the rising tube. 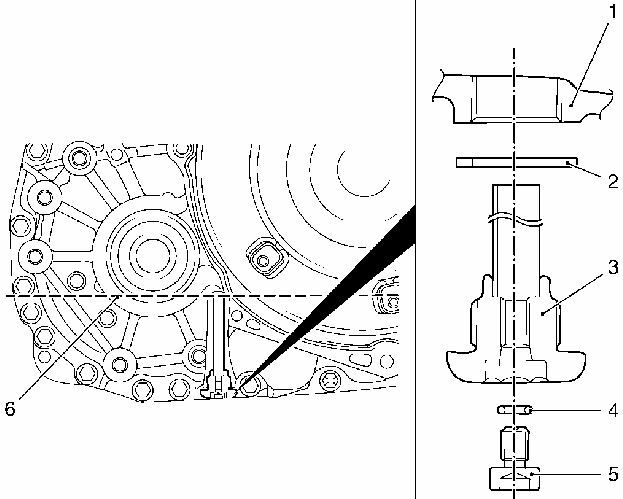 The rising tube must only be unscrewed to drain the transmission (1). In this case, replace the seal (2) on the rising tube. Important: The transmission fluid level must be checked correctly with the engine running and transmission fluid temperature 70° to 80°C. 8. Check transmission fluid level and correct with engine running. – Allow transmission fluid to drain until it drips out of the rising tube, otherwise top up transmission fluid until it drips out of the rising tube.